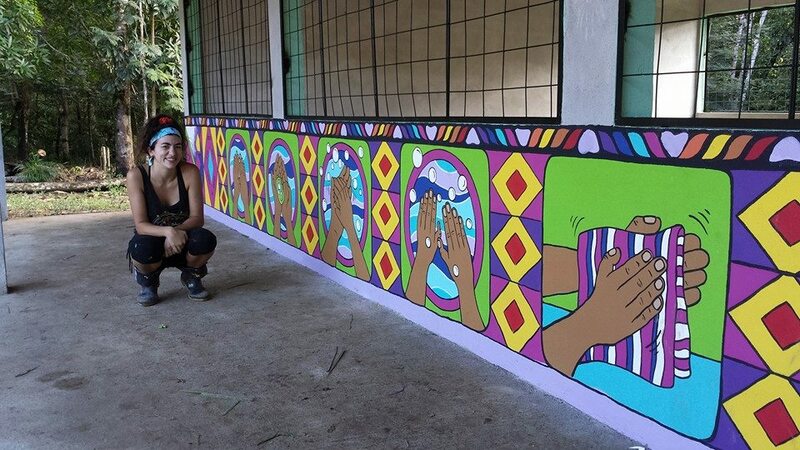 health education and water sanitation murals in las brisas, guatemala. independently fund-raised and organized by a group of friends and artists, hoping to help prevent the small jungle village from water related illness. 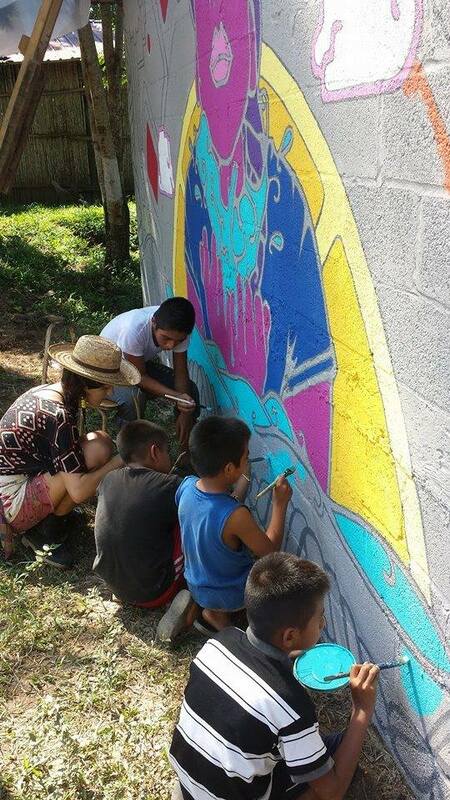 village volunteers learning how to paint with artist miriam zora and k'iche' translator nery. volunteer nurse and painter, michelle adyniec. the force behind the project. school emblem and the crew. Huge shout out to herman, pictured here, and nery, seated next to miriam in the teaching photo. our mayan princes and protectors. thank you to my crew, Hotel Backpackers, Casa Guatemala and the village of Las Brisas for having me for over a month in their beautiful jungle!